In last week’s post I mentioned that a change in the rules governing climbing permits has deprived the Nepal Mountaineering Association (NMA) of a significant part of its annual budget. In this week’s post I will look in more detail at the work of the NMA to give a better idea of what programmes will be affected and what this change is likely to mean for mountain tourism in Nepal. The NMA was established as a non-profit, non-governmental organisation (NGO) in 1973, with the initial aim of training and supporting Nepalis engaged in mountaineering activities. In 1978 the Nepal government gave the NMA responsibility for administering permits for eighteen trekking peaks as a means of generating its own income. Fifteen more peaks were added to this list in 1995. 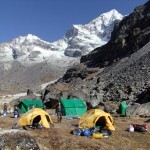 In 1981 the International Climbing and Mountaineering Federation (UIAA), the main umbrella body for the world’s national alpine organisations, officially recognised the work of the NMA by holding its annual convention in Nepal and establishing the Kathmandu Declaration on Mountain Activities, a set of ten principles for ethical governance of mountaineering worldwide. Today the NMA is Nepal’s main alpine association, whose remit has extended beyond the promotion of mountain tourism to include protection of the mountain environment and preserving the cultural heritage of mountain people. I can only really scratch the surface, but here are a few of the things the NMA gets up to. The NMA first established its Mountaineering Training School in Manang with the help of Slovenian climbers in 1979. In 1982 three trainees were sent to Chamonix for training by French mountain guides. Two of them, Tashi Jangbu Sherpa and the marvellously-named Zimba Zangbu Sherpa, went on to become NMA presidents. This association with Slovenian and French mountaineering has continued, and every year more climbing Sherpas travel to the Alps for training. The school was moved to Langtang in 1990. The main aim of the NMA’s training courses is to improve the technical skills of Nepali mountain workers, give them instruction in modern climbing equipment and teach them to be self-reliant in the mountains. A goal for more advanced students is to turn them into fully-fledged mountain guides. Around 30 Nepalis have now obtained official UIAGM-certified mountain guide qualifications. The NMA’s 40-day basic mountaineering course, which includes 30 days of practical training in the Langtang Himalayas, is available to foreign nationals as well as Nepalis. Although we have to pay quite a lot more (quite rightly), it can still be done at the bargain price of just $3000. 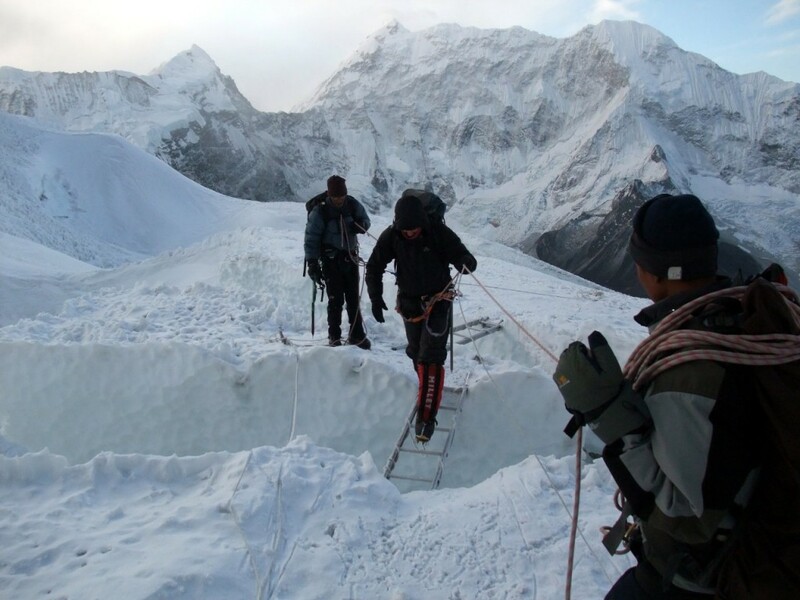 The NMA’s aspirant guide training includes high mountain rescue training specifically designed for rescues above 6000m. This expertise was invaluable earlier this year after the April earthquake caused a huge avalanche which devastated Everest Base Camp, leaving 18 climbers dead. Hundreds more were stranded above the Khumbu Icefall. The NMA helped to coordinate the evacuation of casualties from Base Camp to Kathmandu, and the rescue of climbers from the higher camps by helicopter. In the days that followed they helped with further mountain rescues in other areas of Nepal, including the Dhaulagiri, Annapurna, Manaslu, Ganesh Himal, Langtang, Jugal Himal, Rolwaling and Makalu regions. In 1995 the NMA established a Welfare Fund to help meet the cost of medical treatment for expedition staff injured in the course of their work. In 2001 the remit of the fund was extended to include supporting the education of children whose fathers had died in the line of duty. By 2013 twenty children had benefited from the fund. 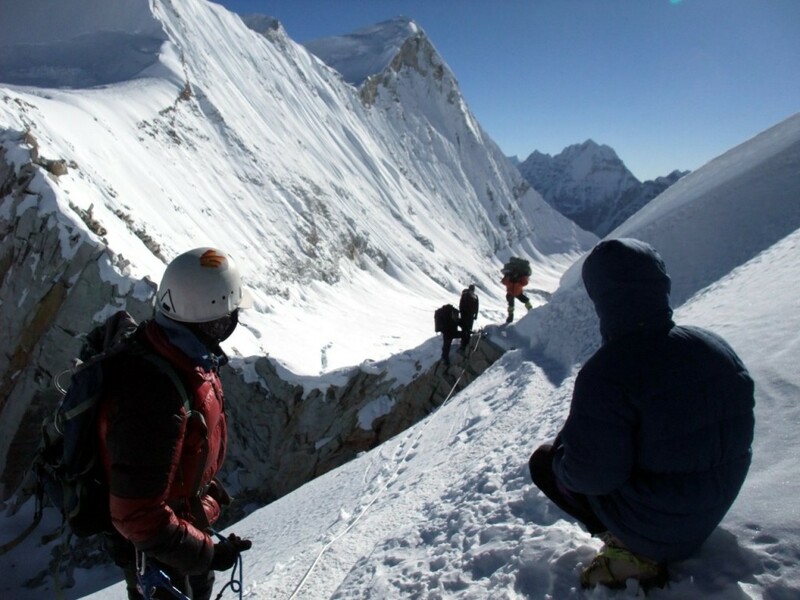 In the aftermath of the 18 April 2014 avalanche in Everest’s Khumbu Icefall which took the lives of 16 Nepalese mountain workers, the NMA set up the Mountaineering Disaster Relief and Educational Support Fund (MDRES) to accept donations from the surge of international goodwill that followed the tragedy. MDRES is currently supporting 91 children from families affected by the tragedy, by means of an education scholarship programme which aims to support them from birth through to university. It is also providing financial support to 7 climbers with disabilities, and was in the process of extending this support to 17 more. All of these programmes are now in doubt. With thousands of people stranded in remote locations following this year’s earthquake, the NMA assisted the World Food Programme (WFP) with its remote access operations to provide victims with food, medicine and shelter. Fifteen thousand Nepalese people, who may otherwise have been without work, were employed to assess villages and remote communities, clear access trails, and conduct porter convoys to carry supplies. 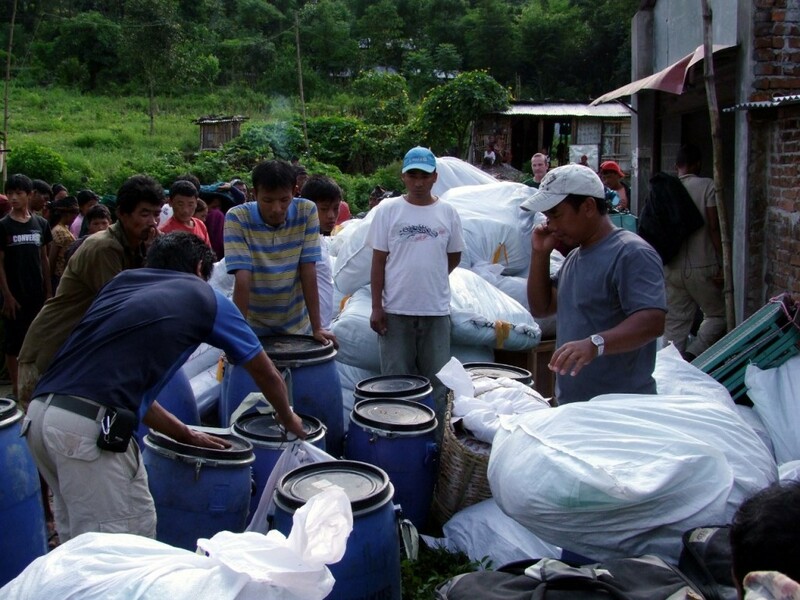 As many as 100,000 people are estimated to have benefited from improved trail access and receipt of humanitarian supplies. The NMA’s expertise in expedition logistics was essential to the smooth running of this operation. The following video helps to give an idea of the work involved. The world’s media likes to describe Everest as the world’s highest garbage dump, but spurred on by the Kathmandu Declaration the NMA has been sponsoring clean-up campaigns to bring down trash from the higher camps since 1982 (which is more than is being done in parts of Kathmandu, most notably the Bagmati River). More significant environmental problems for Nepal include erosion from deforestation (which often leads to catastrophic landslides), retreating glaciers (which will ultimately affect the country’s water supplies), and the bursting of glacial dams (which have swept numerous villages away in catastrophic floods). Environmental awareness on these issues is another of the NMA’s priorities. This year the NMA worked with the UIAA and Italian Alpine Club (CAI) to produce a draft International Declaration on Mountains and Climate Change to be taken to the United Nations Framework Convention on Climate Change (UNFCCC), which takes place in Paris next month. The document is written in somewhat impenetrable legal jargon, but its aim is to propose a set of universal principles to protect mountain environments – rather like the Kathmandu Declaration – for NGOs to sign up to. 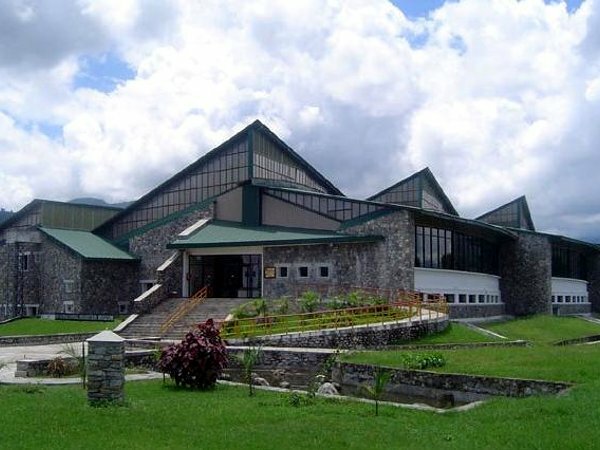 The NMA owns and runs the International Mountain Museum in Pokhara, opened in 2002 and popular with Nepali students. Visitors can learn about the customs and heritage of the Himalayas, geography and the mountain environment, and the work of local and international NGOs working in Nepal. Exhibits include a typical Nepali mountain village, a 3D model of Manaslu (not to scale), and the Maurice Herzog Climbing Wall. As I reported last week, if you are interested in organising an expedition to one of the trekking peaks you will find lots of useful information on the NMA’s website, including sample itineraries and an interactive brochure with route maps, photos, facts and figures. If you’re interested in other peaks in Nepal, information is harder to come by, at least from official Nepalese sources. But this should change if the NMA is able to go ahead with its plan to create peak profiles for all 496 mountains in Nepal that are open for climbing. The NMA continues to lobby the government for new peaks to be opened to mountaineering, and last year a further 104 peaks in Nepal were added to the list. They also successfully lobbied for free access (i.e. no permit fee) for peaks under 5800m, but given the fickle decision-making of the Nepalese government and their frequent changes in personnel it is unclear whether this concession will be implemented. How much does the NMA stand to lose by the latest rule change? In October the Government of Nepal announced that responsibility for management of the 33 peaks in Nepal designated as trekking peaks would be transferred from the NMA to the government itself. In last week’s post I originally stated that the NMA stood to lose $5 million from its annual budget because of the rule change. I took this figure from a quote in a Himalayan Times article, but after examining the NMA’s own publicly-available statistics about the number of permits issued and royalties earned per peak in 2014, I actually see that the figure for earnings from trekking peak permits is closer to half a million. If we take into consideration the fact that the NMA only receives two-thirds of this income, the figure is further reduced to around $350,000. Even so, it’s a significant amount in a developing country like Nepal, where the money goes much further than it does in the West. Peak fees vary from $70 to $400 per climber, depending on peak and time of year. The stats are interesting if you’re familiar with Nepal’s trekking peaks, so I’ve reproduced the table I collated here. How honest is the NMA? One of the problems in transferring the income from trekking permits from the NMA to the Nepalese government is that corruption is endemic, and there is little doubt that a significant portion is misused. How can we be sure the money is better off in the hands of the NMA than the government? I hope this post has helped to explain some of the reasons. While I’m in no position to say there definitely isn’t corruption taking place, there is plenty of evidence the NMA is making a positive difference to the lives of people in Nepal and investing in the long-term future of mountain tourism. For reasons I touched on last week and won’t go into here, this is not the case with government officials whose priorities appear to be elsewhere. Dawa Steven Sherpa, who served for a period on the NMA board and whose father Ang Tshering Sherpa is the current NMA president, responded to my post last week by shedding some light on the NMA’s governance structure. It’s worth reading Dawa’s comment in full if you are interested. He explained that while the NMA’s 25-member board does suffer from political interference and conflicts of interest, there are enough stakeholders on the board with a genuine interest in the long-term development of mountain tourism to keep rogue members in check. The rule change has provided a dilemma for those of us who love mountaineering in Nepal and would like to carry out our expeditions more responsibly if we can. By paying more in permit fees directly into the hands of government officials, rather than to an organisation with a record of using it where it’s needed, we are undoubtedly helping to fuel more corruption. This in turn leads to greater poverty. Should we boycott Nepal then, and travel elsewhere next year? On the other hand, by joining an expedition to Nepal, we undoubtedly help to turn a cog in the wheel of Nepal’s struggling economy. As well as greasing the palms of government, some of our money will be finding its way to guides, cooks, teahouse owners and porters, not forgetting farmers who sell the produce that we eat on trek. These are the people we want to benefit from our travels. What should we do then? It’s a dilemma to which I have no definite answer. If you’re interested in learning more about the history of the NMA, quite a comprehensive article written by Ian Wall of Off the Wall Trekking is available online as a PDF. An interesting report by Ang Tshering Sherpa about issues being addressed by the NMA was published on the UIAA website last year. 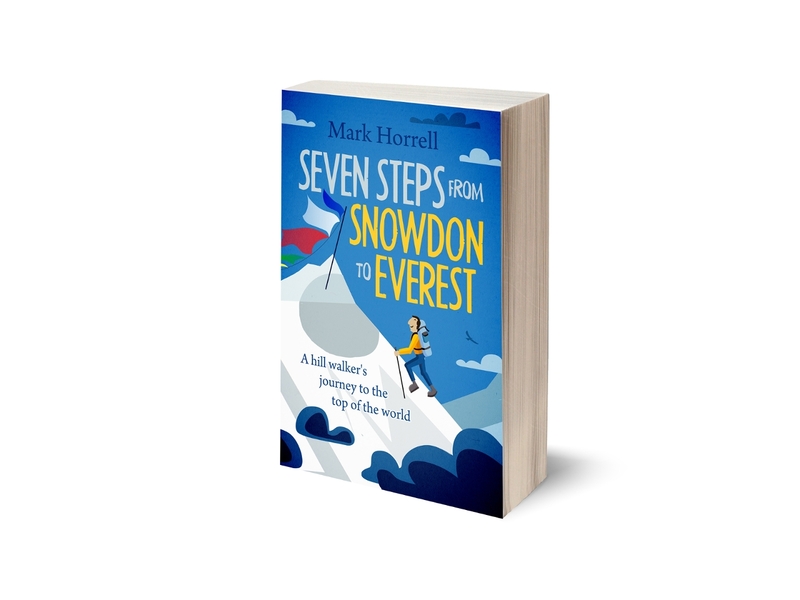 I would also like to take the opportunity to plug my own book Seven Steps from Snowdon to Everest, about my ten year journey from hill walker to Everest climber. It contains lots about my travels in Nepal and covers several of these issues. See my book page for a list of stores where you can buy it. You can also whet your appetite by reading the complete prologue from the book here. 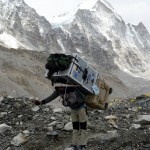 ← Death of the Nepal trekking peaks? Thanks Mark. I love all your updates and the facts/figures you provide. Cheers, Robert. Well done for getting your group (and daughter) up Lobuje East!